Veteran of HQ Battery 1/83rd Artillery 1967-1968. 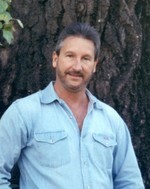 Ralph Henkel, Jr. of Greeley, CO passed away March 19, 2012. He was born January 15, 1947 in Denver, CO. to Ralph and Lydia (Sigwardt) Henkel, Sr.
Ralph graduated from Highland High School in 1965. He spent the next two years as a student at Pasadena College in Pasadena, CA, where he enjoyed drawing, fine arts and body building. In 1967, Ralph was drafted into the Army and served proudly in the 1/83 Artillery Group in Vietnam. Following his service he grew a photography hobby into a business, Windflower Photography. In 1991 his son Tony was born, he was Ralph and Cathy’s pride and joy. Ralph enjoyed spending his special times with Tony. He is survived by his son Anthony; mother, Lydia Henkel; brother, Greg (Julie) Henkel all of Greeley; sister, Barbara Carmack of Denver, CO; his former wife, Cathy Henkel of Greeley; and numerous cousins. He is preceded in death by his father Ralph Henkel, Sr.